I am hoping in our travels, we will visit places where there are still no man made roads. We will be relying heavily on GPS devices, navigation apps and paper maps for finding our way. 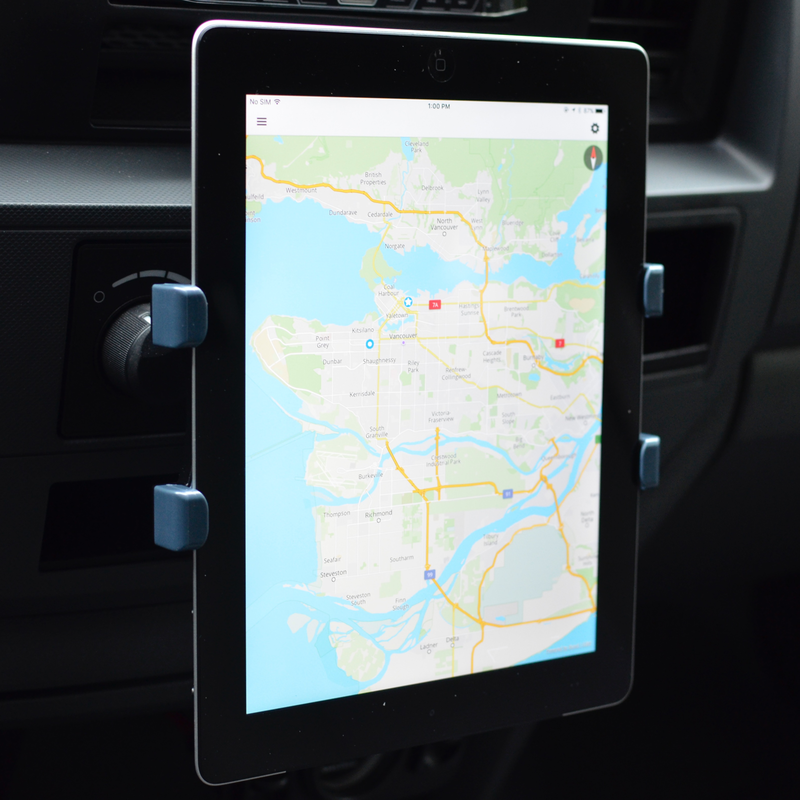 I have a Garmin Nuvi unit I like and plan to use it with OSM maps but having a second navigation software I can trust is a must for me. I have been using ForeverMap developed by Skobbler and really like it. I can download the maps in advance and use it without any cellular coverage. 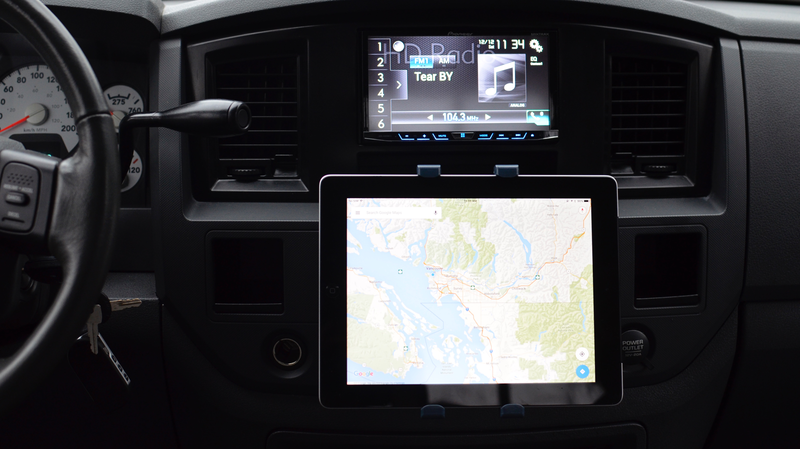 So I decided to mount my iPad somewhere I can glance easily but still able to access all the controls on the dashboard. I have just driven more than 3K miles, from Vancouver BC to Denver Colorado and back and the setup works great. iPads retina touch screen is way superior to Pioneer or Garmin. This project was on my todo list so I was on the lookout for something I can use and modify to my liking. 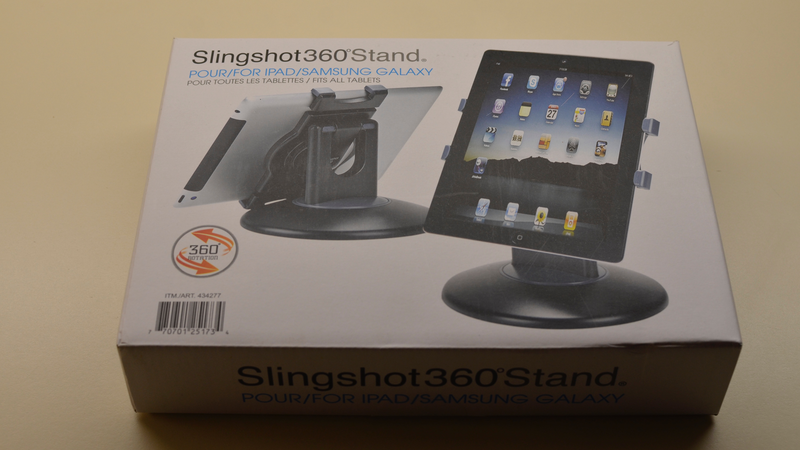 I picked up Slingshot360 Stand at Costco. 1. 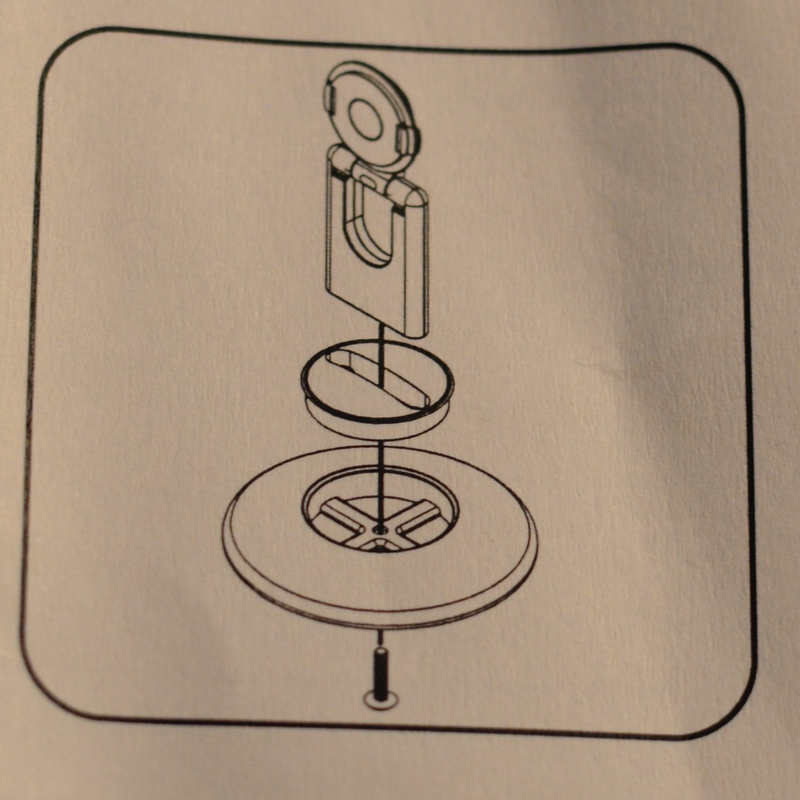 Disassemble the round base by removing the screw. 2. 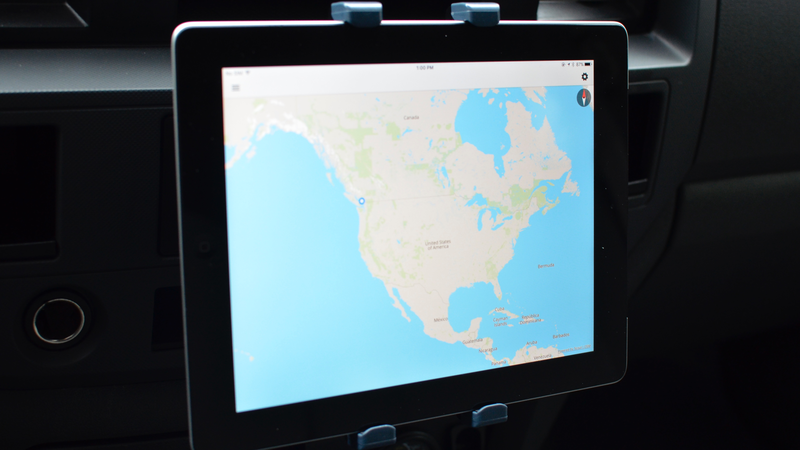 I wanted to be able to access all the controls behind the iPad when it is mounted. Line with the red arrows will line up with the dashboard face. 3. 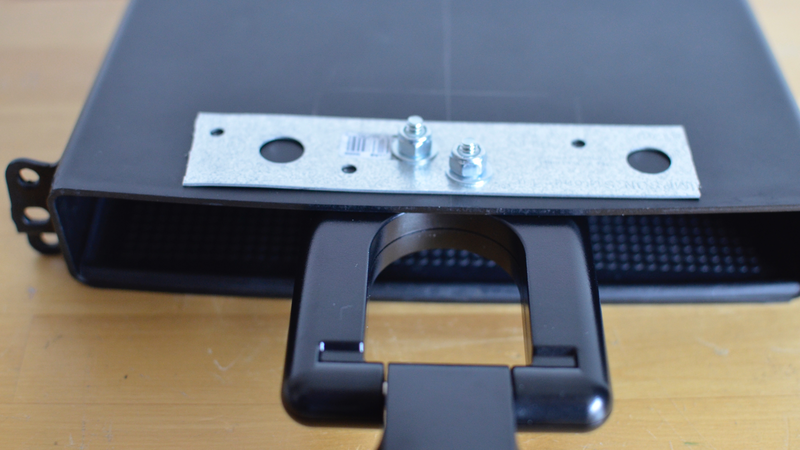 To strengthen and lessen the stress on the plastic I used piece of thin metal and secured it with the same screw from step 1. Then I drilled couple of holes that will be used to attach it to ceiling of the dashboard pocket. 4. 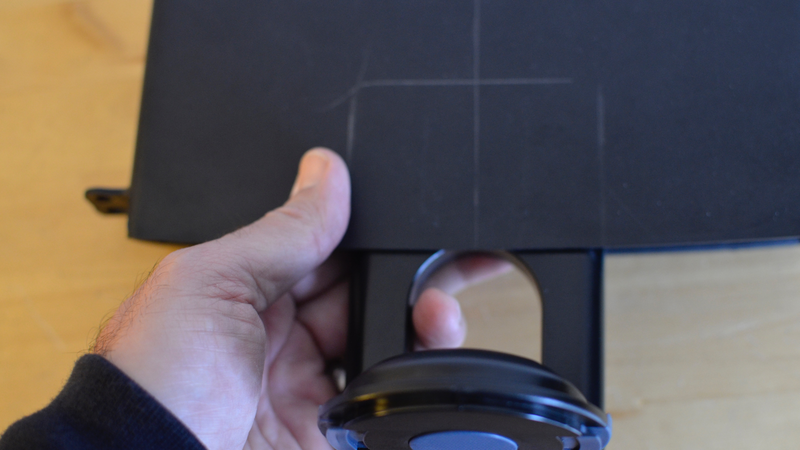 I lined up the mount and marked the measurements on the dashboard pocket. There is enough clearance for nuts. 5. 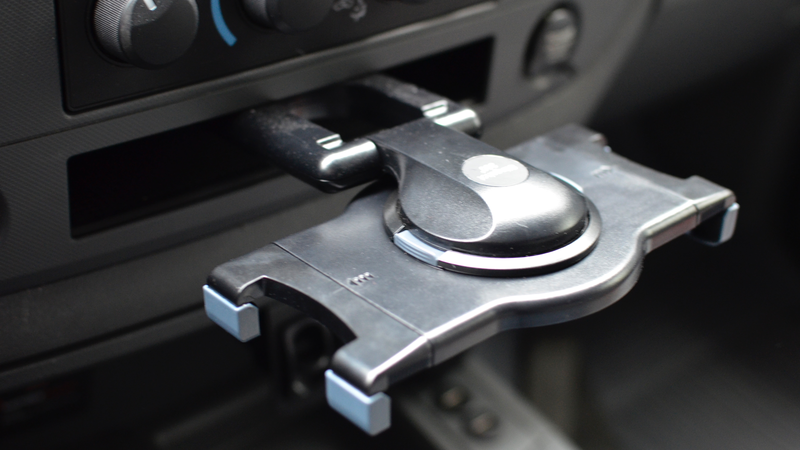 Although the dashboard pocket insert is made up of very sturdy ABS, I used the rest of the metal piece as an additional support. 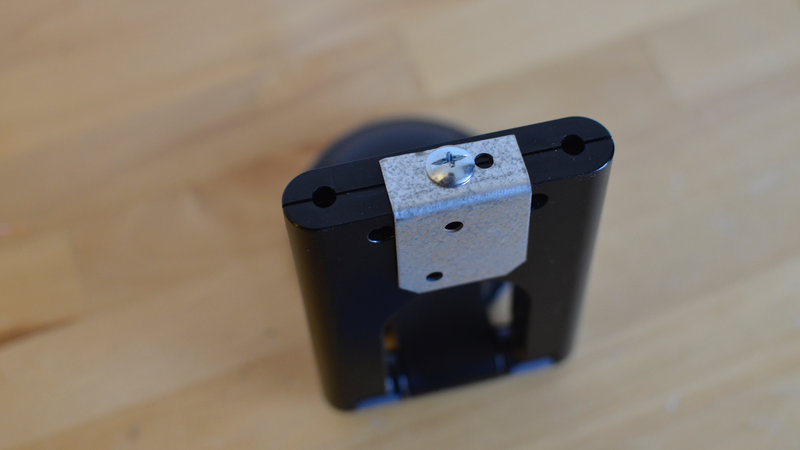 I lined up and drill two holes and used small bolts, washers and locking nuts to secure the mount to the pocket insert. 6. I attached the pocket insert to the head unit bezel and put everything back on the dash. Here is how it looks without iPad. 7. 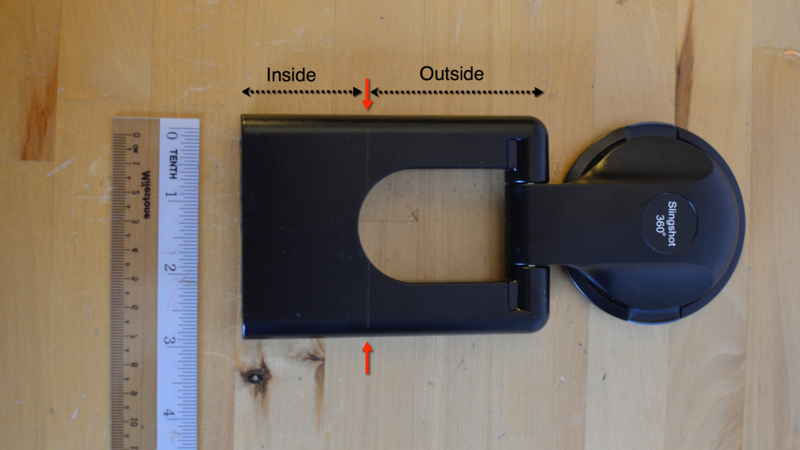 Here is with the piece that holds the iPad. 8. Final pictures with iPad mounted. 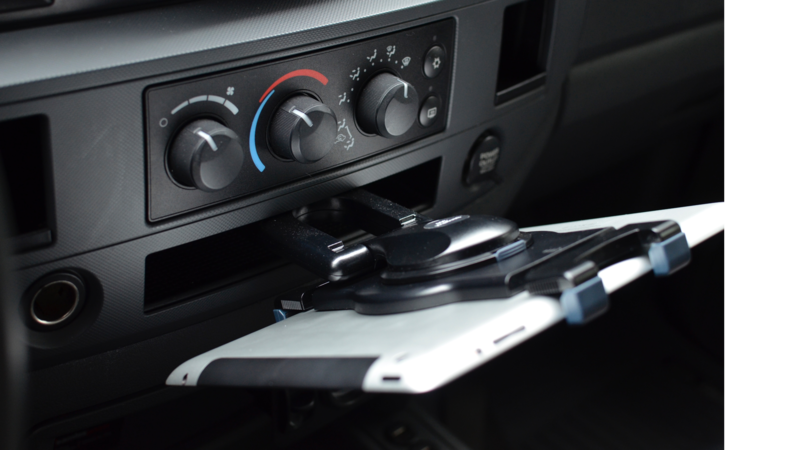 It takes 5 seconds to put in and remove the iPad from the dash. I use USB ports I installed with Pioneer 4000NEX to power/charge the iPad. 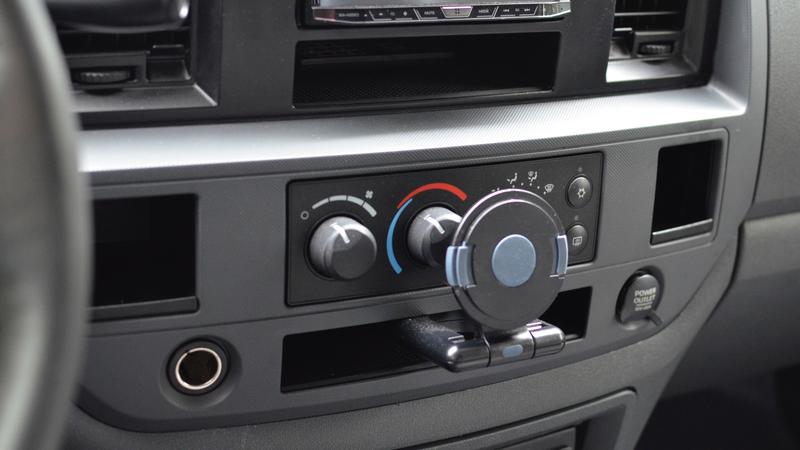 Once it is connected to Pioneer, either with cable or with bluetooth, audio directions from Google Maps or ForeverMap can be heard through stereo. If I need to access the controls behind, I simply push down the iPad and push it back up once I am done. Great set up, thank you for posting with such detail. Best to you and your beautiful family. You must feel very proud of taking such precautions to ensure a safe trip.